New ferry routes are being developed in Cornwall to try to persuade people to travel by water instead of road. Ferry companies, the National Trust and English Heritage are involved in a project designed to encourage more use of the Fal estuary. 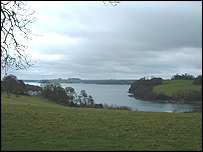 One of its main features is a £450,000 landing stage being built for visitors to the Trust's Trelissick Gardens. Trelissick property manager Chris Curtis said the new pontoon should be in use by August. 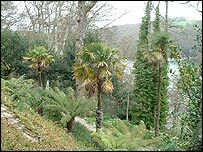 When it is finished, visitors will be able to take a ferry from Falmouth, Truro and St Mawes to the garden, using services provided by many of the existing ferry operators. The project is part-funded by Objective One and further financial aid is coming from Cornwall Environment Trust Ltd and Carrick District Council's Truro Harbour Authority. Mr Curtis said: "The pontoon is part of a whole project to open up access to the Fal because the roads around there are not that easy and some areas are inaccessible. "Coming by water is a way of giving everybody, even those who don't own their own boat, a way of getting here and coming to visit the properties and the whole area of the Fal. "It is magic going up the creeks and admiring the view around and to experience that peace and tranquillity." Truro harbourmaster Andy Brigden also welcomed the plans to open up the use of the river. "It is refreshing to see so much more happening on the water. "We are getting new ferry routes starting now, such as the Truro to St Mawes route. "The Prince of Wales pier to Mylor yacht harbour route is starting soon and we have already got the water taxi into its third consecutive year."